Imagine that you are a professional musician about to release a new album; you’ve slaved for months over soundboards and equalizers, obsessing over levels and waves, re-recording, re-recording and re-recording some more. You’ve devoted hundreds of hours to perfecting and fine-tuning a unique sound, and dozens of more hours wrangling meetings with your label and your agent. It’s finally the big day. You’ll finally be able to share your artistic vision with the world… and then? Your album drops on Spotify and millions of people have access to your tunes. The only problem? The vast majority of them are listening with cruddy headphones. Five-dollar budget bin earbuds just aren’t going to cut it. While they are fine for shoving into the bottom of a backpack or purse in case of an emergency, poorly made headphones are barely worth the wire they are made out of. The truth is that if you have cruddy headphones, the music you are listening to is going to sound cruddy as a result. It doesn’t matter what you listen to – cheap earbuds leave amazingly produced music sounding muddy, mushy and tinnier than a 1996 Kevin Costner movie about golf and featuring some sort of cup. They look cheap, they sound cheap and they feel cheap. If you have never owned a high-quality pair of headphones, you don’t know what you’re missing. The difference isn’t only in the sound; it’s in the comfort, it’s in the technology and it’s in the build quality too. If you don’t have a decent pair of cups, then you’re just not hearing the music the way it was meant to be heard. And I’m not talking about Dr. Dre’s Beats. Bass machines have their place, but high-fidelity sound is not bass’s companion in those places. If you want muddy, head-pounding bass boxes, the Beats are a fine, albeit very overpriced choice. They just aren’t a true premium pair of headphones. When we think of Bang & Olufsen, our first thought is quality. Every pair of headphones we have ever reviewed of theirs just feels elegant, no matter where they fall on the price scale. They have such an attention to detail, and it shows in every pair that comes off their production line. 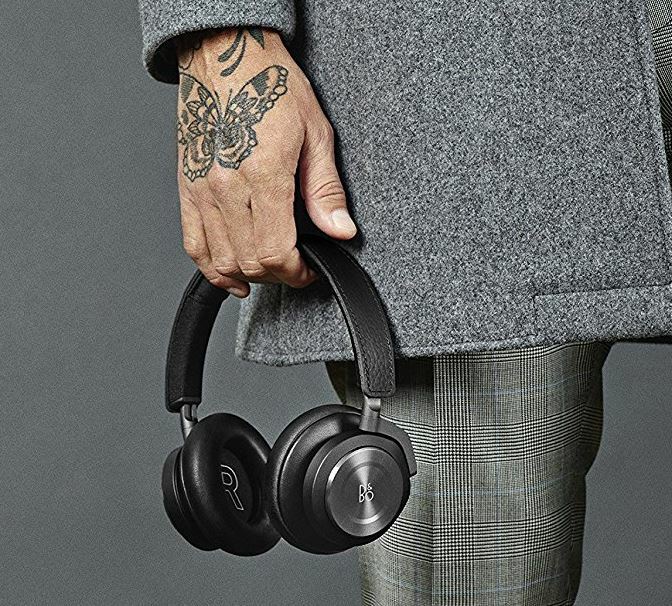 This is why we were so excited to get our hands on the Bang & Olufsen Beoplay H9i wireless over-ear headphones. 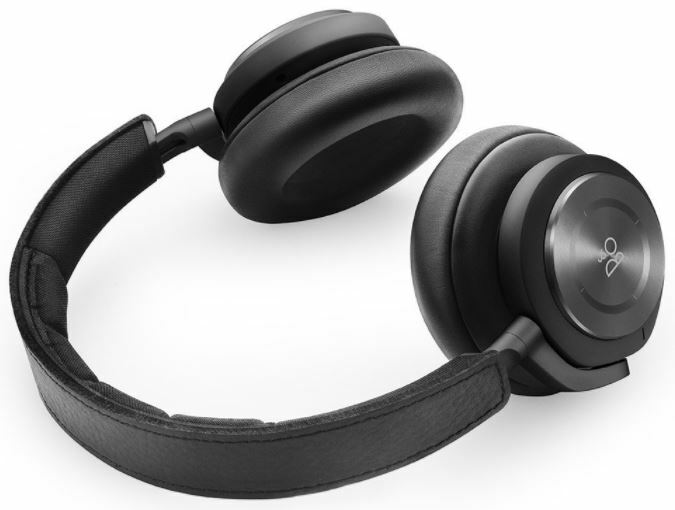 While the Beoplay isn’t a completely new line, the H9is are a significant upgrade to the original H9s. 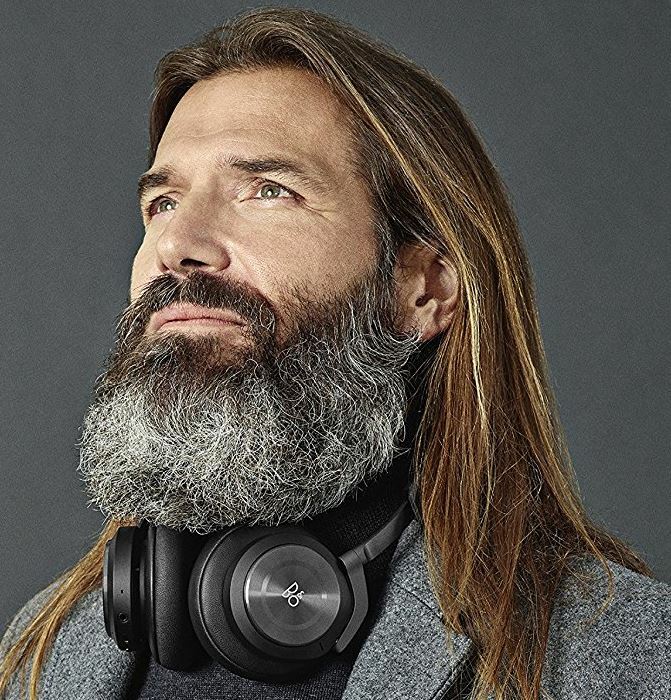 The H9i’s combine Active Noise Cancellation, Bluetooth connectivity, a new touch interface and the Bang & Olufsen sound we’ve come to know and love from previous models. The first thing we noticed when we pulled the H9i’s out of the box was their super elegant build quality. The headphones are composed of aluminum, leather and rubber, which makes them feel sturdy without losing their sexiness factor. They are available in two different colors: black and natural – we prefer the black. Despite the heavy-duty building materials, the H9i’s are still light weight, topping in at 285 g, which is the equivalent of just over half a pound. In the box you’ll find the headphones themselves, a 1.2 m audio cord with a standard 3.5 mm jack, a 1.25 m USB-A to USB-C cable, a flight adapter, carrying pouch and the quick start guide. Their premium build quality translated into a comfortable head feel; the leather felt smooth on our rugged hairless man-scalps. The ear cups are made using memory foam and lambskin, which made our ears extremely happy and our mouths extremely ready for some lambchops. We have the skin; now we need the meat. We experienced no discomfort during extended listening sessions, and at times we even forgot that we were wearing headphones; though, if we’re going to be honest, we have terrible memories. The fact that we were not in discomfort is huge, since we have our headphones on pretty much all day. The pairing process is super easy and consistently smooth. The H9is feature Bluetooth 4.2, with AAC codec, meaning they are compatible with Bluetooth 1.1 through 4.2. Pairing was as simple as sliding the button into pairing mode. The Bluetooth connectivity was strong and clear with a super impressive range. During our test, we didn’t lose Bluetooth connectivity until we were 125 feet away from our device. You might want to read that again. One-hundred and twenty-five feet. Wow. They also feature dual-connectivity, so you can be connected to more than one device at a time. We were really excited to try out the H9i’s aluminum touch interface. The new design allows you to control your music even when you’re wearing gloves, which makes it a godsend for our commute. We have no idea how they perform such sorcery, but it works like a charm, so we don’t care. Just keep feeding us the goods. The controls couldn’t be any simpler: swipe down for active noise canceling, up for transparency mode and left or right to control the track. Tapping the ear cup pauses the music and doubles as the accept call button. 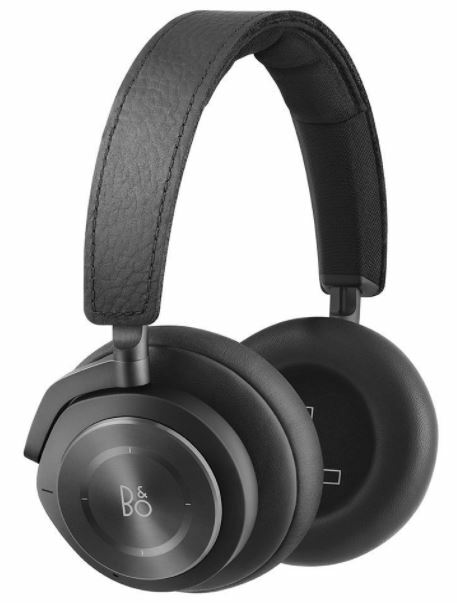 Bang & Olufsen have done a fantastic job with their updated active noise cancellation. Their advanced hybrid system, which uses four dedicated electret mics, allows the H9is to isolate sound at lower and higher frequencies than their competitors, which means you’re not going to hear squat unless you want to hear squat. You can even decide not to hear squat as you squat. Your squatting situation is completely up to you. When you need to be present in the moment, transparency mode allows you to let the background noise in without sacrificing the quality of the audio, as long as you don’t consider the wailing of the kid next to a sacrifice. Both modes worked fantastically, but the active noise cancellation was a real standout feature. Their hybrid system really makes the headphones feel premium quality. The sound quality of the H9is is simply beautiful and elegant, just like every other part of the device. Using an electro-dynamic driver, these babies have a frequency range of 20 – 20,000 Hz. The sound is the same pure and clear sound that we’ve come to expect from the signature B & O sound technology. The bass levels are deep, but by no means overpowering. If you’re looking for heavy bass, these are not a pair of headphones which artificially elevate the bass intensity. The mids and highs are balanced and beautiful. Balance and beauty are probably the best words to describe the overall sound of the H9i’s. 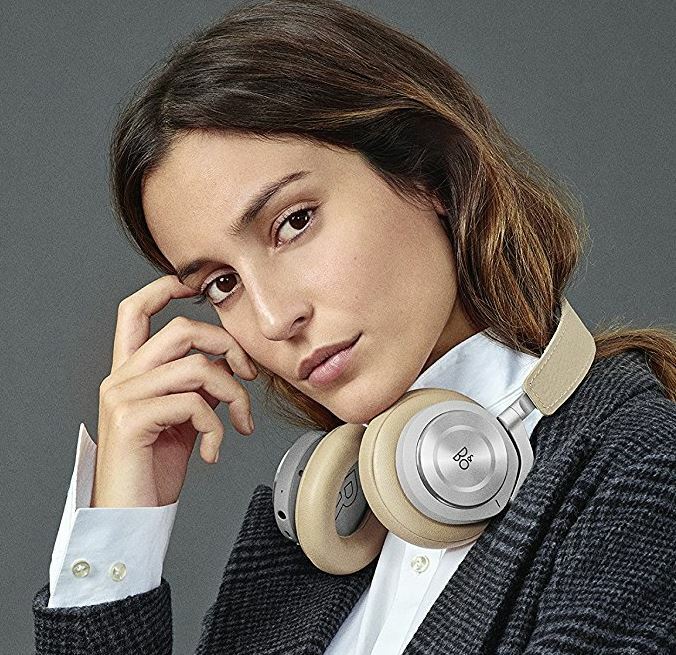 Bang & Olufsen claims that the H9i headphones have a battery life of about 18 hours when using Bluetooth and active noise cancelling. This number checked out perfectly with our test. The great thing about that magic 18-hour number is that it fits right in with even the longest of flights. Bang & Olufsen even includes a replaceable battery, which means you can extend your playtime indefinitely if you can find a power source. The headphones charge using a USB-C charger, which is included in the package, along with a lengthy power cable. Some companies include power cables which are laughably small, so the longer length was a nice touch. The battery takes about 2.5 hours to fully-charge, which isn’t bad considering their long battery life. The addition of the replaceable battery makes the charge time no sweat at all. The H9i’s proximity sensor detects whether or not the headphones are on your head. When the headphones come off, the music or video stream automatically pauses. This was ultimately one of our favorite features. The Bang & Olufsen ToneTouch smartphone app allows you to customize the sound and tonality of the headphones right from within the software. You can choose between several preset sound profiles, including optimizations for podcasts, commuting and lounging around the house in your tighty whities. The app also lets you turn the active noise cancellation on and off, which is super convenient if you’re laying down or playing on your phone and simply don’t feel like lifting a finger. One man’s lazy is another man’s brilliance. 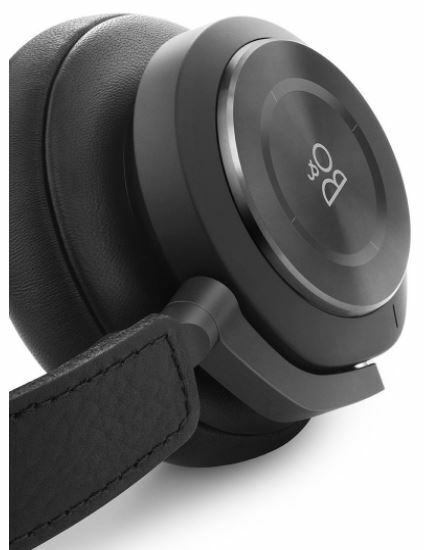 Ultimately, the Bang & Olufsen Beoplay H9i’s are a premium product for a premium buyer. Are they going to cost more than a pair of Skull Candys? You bet your little bippy they will, and they deserve it. Should you but these for your six-year-old? Probably not, but then again, it’s not our bank accounts at risk. If you’re looking for a premium audiophile sound, without the extreme audiophile prices, the H9is are a great place to start, especially if you’re planning on taking any flights. Any frequent flyer will tell you that a pair of high-quality active noise canceling headphones is probably the single best investment an air commuter can make. And as far as active noise cancelling goes, it doesn’t get much better than this. If you add in phenomenal sound and call quality, stunning build quality, elegant design, insane comfort, the interplay between noise cancellation and transparency mode, its phenomenal Bluetooth range and its replaceable battery, you’ve got one of the best premium headphones on the market. 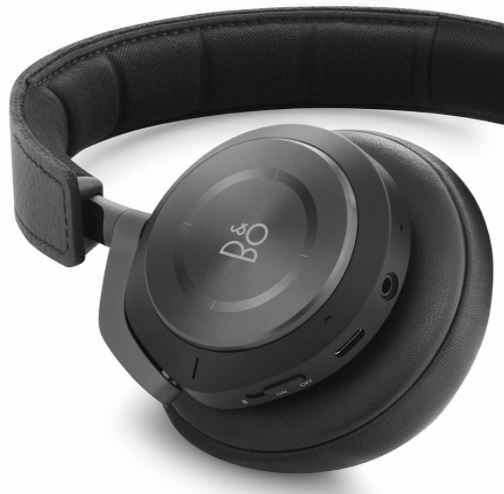 While audio tastes vary drastically person to person; yes, some people can’t go without their Bose headphones and others live and die by Sennheiser, the Bang & Olufsen Beoplay H9i wireless over-ear headphones are a solid choice for any audio lover. That was a nice review of the headphone. 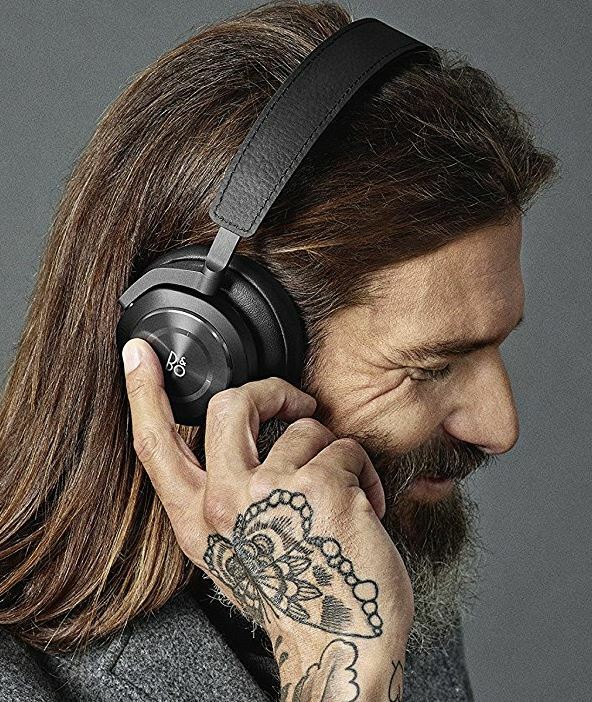 Any idea about whether this headphone comes with aptX capability ? I could not find this information from their website as well as from your review. hold up a sec! not that good. I have had the H9i’s for ~4w, and I have to say that these are the most infuriating headphones I have had. I really thought the touch and proximity features were to be my favorite/standout features, alas they are the features I cannot stand the most. I am constantly trying to turn up/down, play/pause, or to turn on ANC/off transparency mode (whatever that is!). I have had to reset the headphones 2 times, once to install the latest firmware (which failed), and a second time because the headphones became unresponsive after charging. The last hard reset required that I disassemble and remove/replace the battery & then reset. After all that – they sound gorgeous. I mean to say this, as it may be good to wait until later in the year when they fix all these problems. However, based on the experience of H9 owners, perhaps you should wait until the H9x’s come out! H9 owner here. I decided to try the new model and sell whichever one I liked more. Short answer – the H9s are on eBay right now. The 9i is a greater improvement in sound than I expected. I’m not sure if it’s simply the slimmer pads or if there’s something more at work here, but I much prefer the sound of the H9is. Touch controls seem better in the newer model as well, maybe that could be fixed with a software update to the 9? USB C and battery life are obvious improvements. One complaint I have is that I can’t seem to find a way to turn off the proximity sensor. The sensor works pretty well for the most part, certainly better than my PX7s and Backbeat Pro 2s, but sometimes I just want to re-adjust the cups on my ears without having to stop the music. You turn off the proximity sensor by pressing and holding the switch to pairing mode until the blue light begins blinking. Then, you tap twice in the touch pad until you see a red light. The proximity sensor will now be deactivated. You do the same repeat proceed to enable it. 1. The gesture controls doesn’t work for me the most of times. The 80% I do a gesture, the music stop. 2. The bluetooth connection is interrumped many times with my iPhone X. 3. When Im on the bus, the speed bumps cancel the ANC for a second and is frustrating. Did you have any of these problems with them? The sound and the comfort are really great! I bought the H9i 2 months ago and really love them. However, I am having the same issue with the Bluetooth connectivity as Alvaro Fernandez described. A lot of interruptions so I will be heading back to the store to check what this issue is exactly. Other owners having the same problem as well? I have an iPhone X as well so it might be the combination of the X and the H9i. Apart from that I would really recommend these headphones! There was just an update today for these h9i’s and I think it has worked a bit better. I had a serious issue with ANC so I just turned that feature off. It was so frustrating at one point where I wanted to throw these things against the wall, but they seem to have it together now. New update for the app or the software. I have the 5.0.3 software version and the 2.3.0 for the apo version. Anyone has a newer version?